College basketball season tipped off officially on Friday, and the Big 12 is currently undefeated. Even if only three teams have played more than once, it’s still an accomplishment for the conference considering it houses TCU whose football team almost averages as many points as their basketball team (TCU is averaging 45.9 points per game on the gridiron this year, while last year their hoops squad only put up 63.6 which was padded thanks in part to a 98-point performance against an awful Grambling team). Kansas went through a scare on Friday, only beating UC Santa Barbara by 10 at home. West Virginia did the same against Monmouth. Oklahoma State started on Friday with Southeastern Louisiana and only led by 2 at the half. TCU got in the win column, but it won’t last long. Their win over Prairie View A&M was by no means a quality win – Oklahoma State did the same despite only shooting 1-13 from 3 on Sunday. 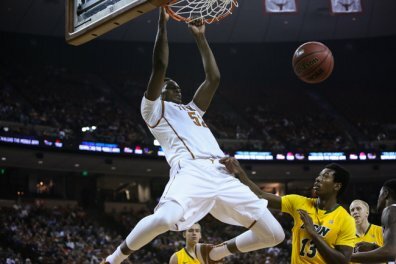 There is still a lot left to tell about the Big 12 and as the season goes on, it’ll be seen. But for now, I think the whole conference needs to be somewhat pleased.